• All requests should be made by email or fax with complete necessary information including the following: Company name, style, size, defect, quantity, and contact person with contact information. • Please allow 4 weeks for processing and credit. • We allow for exchanges up to 30 days after the sale. All exchanges must be returned in the original box. • A paid receipt including a return authorization number must accompany footwear. Credit or exchanges could be denied without proof of receipt. • There is a 6 month limited warranty. 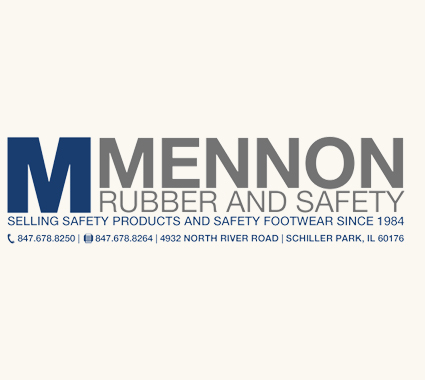 Credit will NOT be issued for abused footwear, chemical and caustic compromise, water breakdown, excessive wear, or lack of a legitimate workmanship defect. • There is no warranty on rubber footwear. • Credit will be issued only after receipt and inspection. • Credit is subject to adjustment based on wear. • No credit is given for misuse of footwear. • All footwear must be returned freight prepaid. • Accounts must be in current credit standing to receive the appropriate credit. • Please indicated if shoes are to be returned to you if NO credit is given.